Sydney, 12 March 2018 – Mastercard, working with Transport for NSW, has today announced the launch of contactless payments across all Sydney Ferries and light rail services. The announcement follows a successful trial on the F1 Manly to Circular Quay ferry service. During the trial, Transport for New South Wales worked with Mastercard to develop and implement a new way to pay for their fare, allowing customers to travel on Australian public transport for the first time using a debit or credit card, or contactless enabled device. Commenting on the launch, Richard Wormald, Mastercard Division President for Australasia says, “As the first payments technology network provider to bring contactless payments to public transport in Australia, we’re excited to expand this innovative solution to all Sydney Ferries and light rail services. During the first six months of the trial, Mastercard worked with Transport for New South Wales to ensure smooth implementation of the technology; facilitating more than 15,000 tap-and-go fare payments for card holders from more than 42 countries. The rollout of contactless payments means travelers can now use their Mastercard to tap on and off on Sydney Ferries and light rail services, providing simpler access to public transport across Sydney. The expansion of contactless payments technology also provides a convenient option for those who do not use public transport frequently, are visiting from abroad or interstate, or simply just left their Opal card at home. Mastercard combines its insights, technology and expertise to help make cities more inclusive, and sustainable. Introducing contactless ticketing is one of the ways that Mastercard is working with cities and other partners around the world to identify and implement appropriate location-specific solutions, addressing challenges that stem from rapid urban growth. 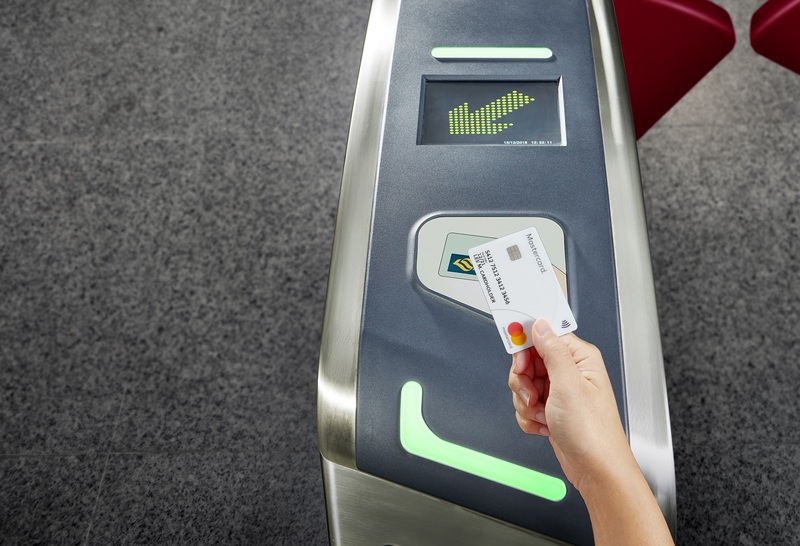 The wider roll out to Sydney Ferries and light rail services builds on the success of Mastercard’s recent work with Singapore’s Land Transport Authority to implement the first contactless payments program for transit agencies in the Asia Pacific Region. Globally, Mastercard is working with more than 100 cities to develop contactless transport solutions; including London, where already around half of all pay-as-you-go journeys on the city’s underground, buses and commuter rails are paid that way.